1 Greater Kuala Lumpur is the geographical term that determines the boundaries of Metropolitan Kuala Lumpur in Malaysia. Though similar to the term "Klang Valley", there remains a variation between the two. Before 1974, when Kuala Lumpur was still part of Selangor, there was once a greater Kuala Lumpur district covering what is today the Federal Territory of Kuala Lumpur, Ampang, Batu Caves, Gombak, Ulu Klang, Petaling Jaya, Puchong and Sungai Buloh. 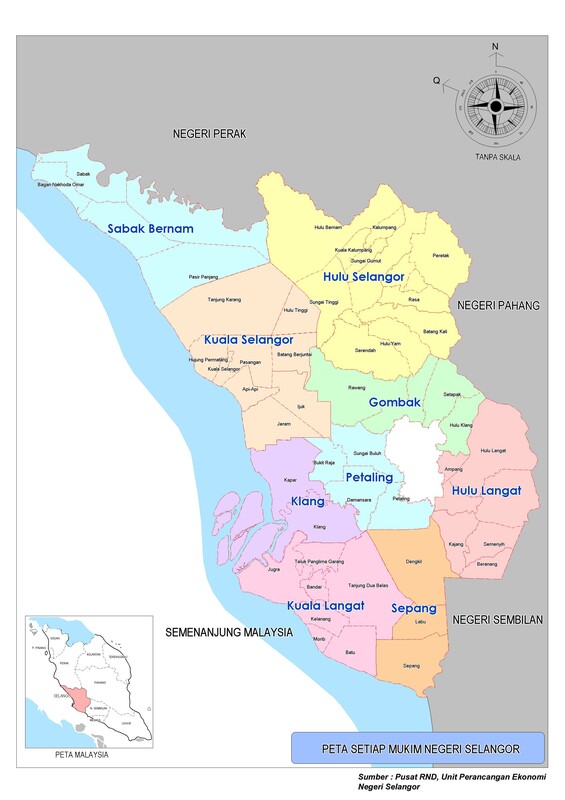 Greater KL is a relatively new term as compared to the more prevalent and established Klang Valley term. The term Greater Kuala Lumpur was espoused by formal Malaysian Prime Minister Najib Razak as an urban agglomeration to spur the country's economic growth by the billions in the Economic Transformation Programme announced in 2010. In 2010, the Greater Kuala Lumpur population was estimated at close to seven million and it contributed about RM263 billion to the nation's Gross National Income (GNI). Kuala Lumpur ranks 79th out of 140 cities in the Economist Intelligence Unit's survey on liveability. ^ "The Straits Times Singapore". ^ "Peta Selangor". Retrieved 22 August 2016. ^ "The Malaysia Digest". Archived from the original on 2011-03-09. This page was last edited on 4 April 2019, at 20:00 (UTC).